While we’ve already covered the very first Mario game in Smash Vault, Donkey Kong has since become a sub-series to two now giant franchises under Nintendo’s belt. Furthermore while Mario Bros. may have started the brothers we know today, it wasn’t until 1985 when Mario and Luigi became super that Nintendo’s number one series began. Super Mario is now the flagship that is Nintendo; it sets the standards for every other series ever produced by the company with its continued excellent quality and almost endless diversity. This series hasn’t just made Nintendo what it is today, but has inspired an entire gaming genre that still thrives today. Mario himself may have originated from Donkey Kong but he didn’t really become something special until the first console release of Super Mario Bros. The Mushroom Kingdom was only the beginning of the weird and wonderful weird of Super Mario. The game has been a big success; 40 million copies sold, it stands as the second best-selling game of all-time. It also features on many greatest games of all time lists and Charlie Brooker included the title in his How Video Games Changed the World television special. The game had physics to master, a catchy upbeat soundtrack, a horde of memorable characters and enemies and plenty of secrets to keep players coming back for more. Since this breakthrough Mario has enjoyed a plethora of sequels, broken almost effortlessly into the 3D genre, played almost every sport under the sun, become a prolific racer, solved puzzles as a doctor, accomplished engaging RPG adventures and of course fought in the greatest crossover title to ever hit home consoles. However what is perhaps most encouraging about the series is the level of quality that is maintained in almost every title, no matter what genre the characters are tackling. Of course not every single Mario game ever released has been a raging success, but the flops have been few and far between and are been largely forgotten thanks to his many, many achievements. New facelift, same classic game play. However despite the original formula outlined in Super Mario Bros. still continuing today, it hasn’t always been Nintendo’s big concern. The game received three follow-ups on the NES and the SNES while also breaking onto the handheld scene with Super Mario Land in 1989. However both iterations of the series transferred the baton to other characters; Yoshi taking over on the consoles and Wario on the handhelds. 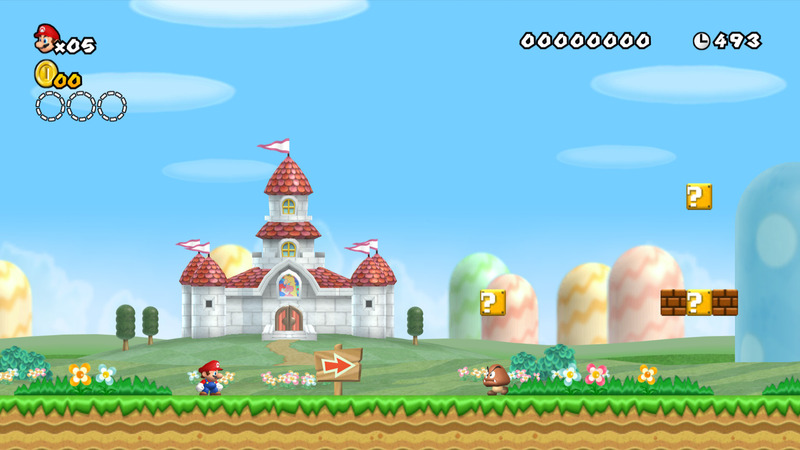 Thus while multiple remakes on the Game Boy Colour and Game Boy Advance were released following this, no new 2D platformer starring the Mario Bros. was made between 1992 and 2006. That is however until the release of New Super Mario Bros. for the Nintendo DS. Sporting a fresh new 3D appearance and plenty of new power-ups the games are now become staple entries on every Nintendo console and handheld. These new adventures have brought 4-player co-op play to the series while maintaining a focus on perfecting the physics. 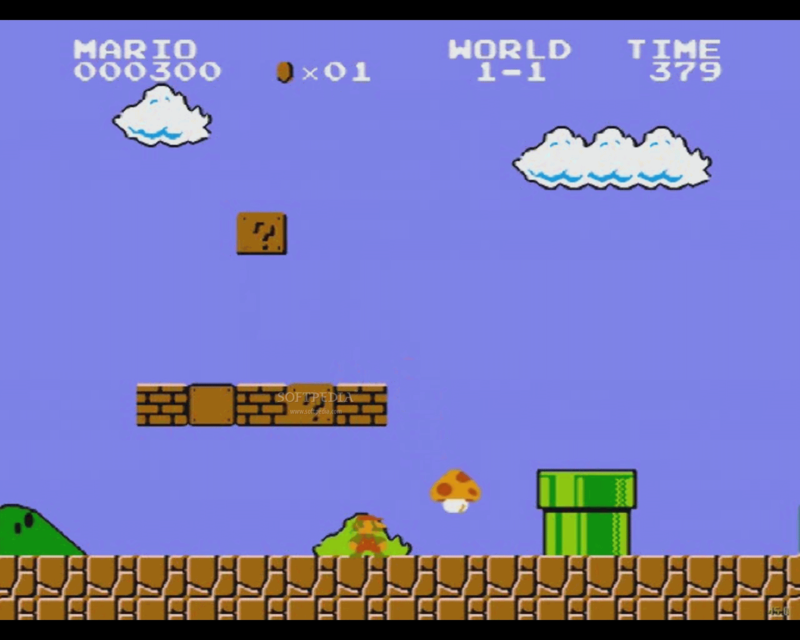 The games may not be as difficult as their sprite-based predecessors, but Nintendo have produced challenge videos which showcase just what the player can accomplish if they decide to master the physics as they once did with the original game. Most excitingly for the platformer however is the upcoming release of Mario Maker which will allow players to make and share their own Super Mario Bros. levels in either 8-bit or the new 3D style. What this creator will mean for the future of the 2D platformer cannot be certain and whether Nintendo will release another New Super Mario Bros. on their next system is yet to be seen. However the series will always be remembered in video game history because of how ground-breaking the original Super Mario Bros. was which is regarded now as one of the greatest triumphs and most important gaming releases of all time. 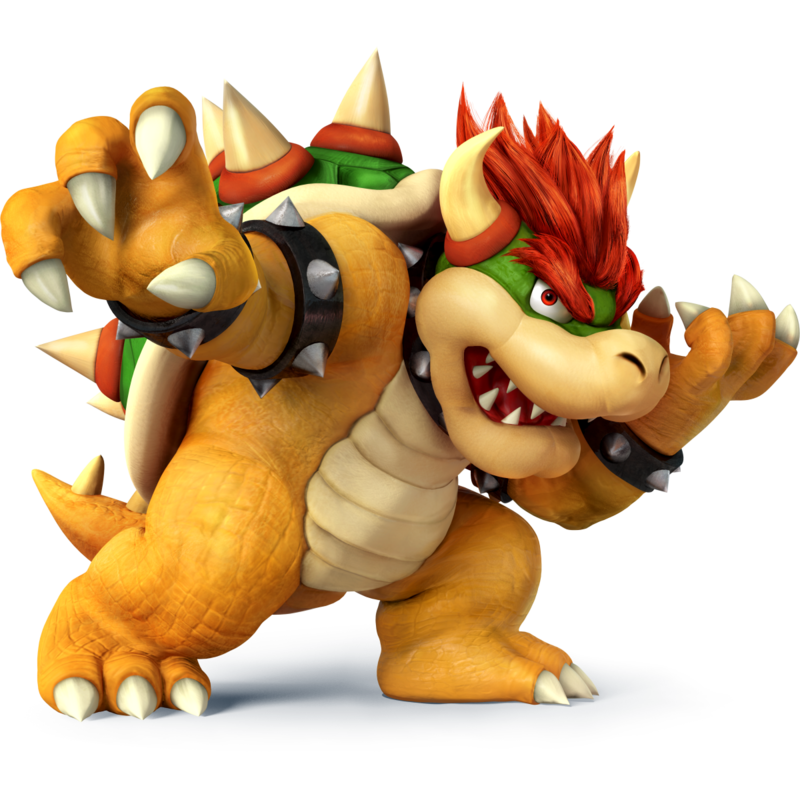 While not only adding the Super to Super Mario Bros this game is also originated the fighters Peach and Bowser who have been smashing opponents since Super Smash Bros. Melee. 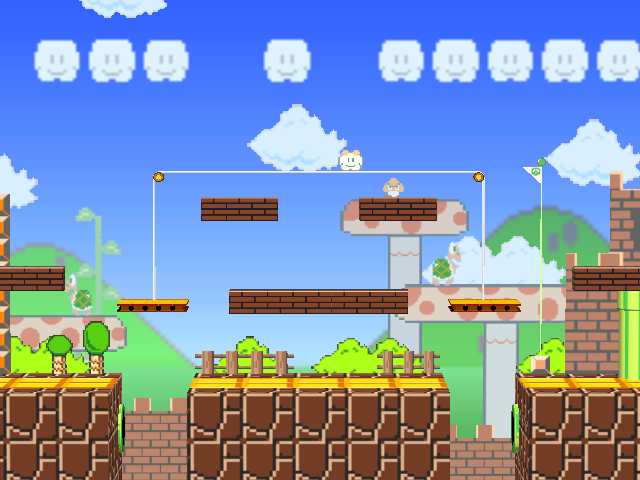 The Mushroom Kingdom has also featured as a stage in every Smash Bros. title; in N64 and Melee they are independent static stages whereas in Brawl and 3DS the Mushroomy Kingdom is a complete recreation of World 1-1 (which sometimes appears as World 1-2 in Brawl). A Hammer Bro. and Lakitu and his Spinies have acted as Assist Trophies since Super Smash Bros. Brawl the latter sporting their original 8-bit appearances. 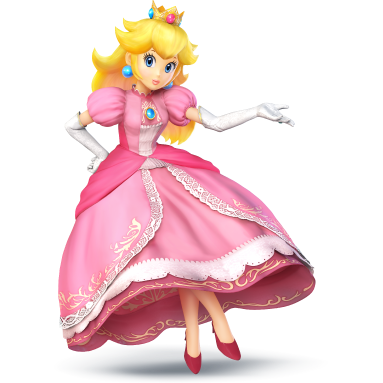 Furthermore several items and enemies used in Smash Bros. can be first found in this game. Items include the Fire Flower, Green Shell, Super Star (all titles), Super Mushroom (since Melee), Bullet Bill and Fire Bar (3DS and Wii U) and the Red Shell (N64 and Melee). Enemies include Goomba, Koopa Troopa and Paratroopa (since Melee), Bullet Bill and Hammer Bro. (since Brawl), Lakitu and Spinies and Bill Blaster (Smash Run).